Helen Poole studied English, History and Archaeology at Bristol University before going on to postgraduate studies in archaeology at Durham and museum studies at Leicester. She excavated on several sites from Fishbourne to Corbridge and has retained a great interest in the subject. Teaching qualifications at Brighton followed later. A vacation studentship at the British Museum led to a lifelong enthusiasm for a museum career, and she has worked in museums in Hertfordshire and Sussex since qualifying from Leicester. Her efforts at Watford Museum were recognised in the Museum of the Year Award for 1983, with the prize for the best exhibition, which featured on BBC2. She has also appeared on television in a number of other formats, including Mastermind and Crosswits. She is married to an antiquarian bookseller, who has written a book on Agatha Christie's literary output. They have a son and a daughter and four grandchildren..
Helen is an enthusiastic sharer of information and has produced a range of publications from local themes to business histories. She is well known on the lecture circuit on topics as varied as Cleopatra or Anne of Cleves, and she is a regular steward at Firle Place. After developing an enthusiasm for cruising on family holidays in her teens, she began lecturing on cruises in and around the Mediterranean and the Red Sea from 2005, finding it both relaxing and stimulating. Her classical education is revealed in her enthusiasm for Greek gods and the Phoenicians. 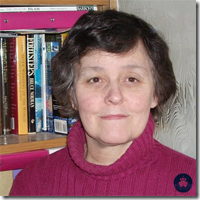 She also is an enthusiast for Tudor history and ventures into more modern history with talks on Napoleon. PowerPoint supports her talks, with each session including up to 100 carefully chosen images. 1. Tutankhamen and his place in Egypt, putting into context one of the most best-known of all Pharaohs through wall paintings, objects and spectacular buildings. 2. Alexander and the Ptolemies� illustrating the arrival of the Macedonian dynasty, starting with the charismatic conqueror and ending with the suicide of Cleopatra. 3. Cleopatra: the Serpent of Old Nile, studying the extraordinary character who kept Egypt independent through her relationship with Julius Caesar and Mark Antony, and her own willpower, as seen through coins, travels and literature. 4. Napoleon, the revolutionary wars and Egypt, looking at Napoleon�s campaign to liberate the country from the Ottomans and the allied attempts to frustrate this. 5. From Petra to Poirot: Travellers' Tales, seeing the Red Sea and its attractions through the eyes of the famous people who had relished its sites and culture. 6. Travellers' Tales: from Kipling to Verdi, adding an Indian dimension to the joys of travel. 1. Alphabets and Elephants: the Phoenicians from Jezebel to St Augustine, breathing life into the little-known peoples, some of the Mediterranean�s greatest seafarers, who gave us the basis of our alphabet and fought over generations against the spread of the Romans. 1. Myths and Mysteries of Crete: the history of the island from the Minoan civilisations to World War II and modern times. 2. The Gods of Mount Olympus, illustrating the life and loves of the major gods and goddesses who dominated the art and buildings of the Greek world. 3. Athens and the glories of Greece, looking at one of the most beautiful and civilised cities in our world, and the way in which it and the other Greek cities spread throughout the eastern Mediterranean. 1. The Trojan War: a look at the archaeology and literature of the famous stories of heroism and disaster which have left their mark throughout our culture. 2. Byzantium to Istanbul, a city in two continents, looking at the ups and downs of the extraordinary and exotic city in its vital strategic position. 3. The Ottoman Empire from 1453 to 1600, showing the conflicts with Europe after the fall of Constantinople, with the island sieges and the struggles with competitors. 1. Caesar � not all Gaul, focusing on Julius Caesar�s life, but particularly his campaigns in France and Britain. 2. Augustus and the Life of the Roman Empire, based on the first Roman Emperor and what life was like in the lands under his control. 3. Roman Religion from the Capitol to Christianity, investigating the Roman pantheon and the way that their established gods ultimately gave way to the Christians after persecution by the Roman authorities. 4. Diocletian and the mighty Roman Empire, showing the vision and legacy of the Emperor who retired after a very full life to his Palace at Split. 5. The Fall of the Roman Empire, as barbarian invaders gradually found the weaknesses in the huge Empire and established themselves in Roman lands, often permanently. 1. The Roman Empire to 193 AD, looking at the way the Roman conquerors affected the life of North Africa and left evidence in buildings and objects. 2. From Septimus Severus to the Vandals: The Roman Empire from 193 onwards� looking at the history and personalities from the Libyan emperors through to the fall of the Empire. 3. Islam and the Ottomans, showing the rise of the new religion and its effect on the Mediterranean coast. 1. The Spread of the Serenissima: Venice & its Empire, illustrating the rise of the city state that rose from its protective location in the lagoons to become a potent force in trade and expansion in the Mediterranean until its independence was ended by Napoleon. 2. Florence and the Medici, looking at the family who came to dominate the life of the city state and beyond, and their legacy in European culture. 1. Sicily: a kaleidoscope of history, a general view of the island�s chequered history, with more detailed studies at the Greeks and Romans. 2. The Phoenicians and Sicily, the location of the acrimonious conflict between Carthage and Rome. 3. Nelson, the Bourbons and Sicily, showing the impact of the Kingdom of the Two Sicilies and the part the island played in the struggle against Napoleon. 1. Ancient Iberia, looking at the early civilisations of Spain and Portugal, not to mention Gibraltar. 2. Brides, booty and battles � The Tudors and Spain, starting with Catherine of Aragon and her ill-fated arrival in England to marry a Tudor prince, and ending with outright war, including the Armada and raids on the Spanish coast. 1. The Celts in Western Europe from Ireland to Spain, looking at the history and creations of the peoples who made life difficult for their Roman conquerors. 2. Early Days of Christianity: from persecution to survival, from the life of Jesus Christ through the difficult early days to its eventual establishment as a major force. 3. Invaders and Settlers in Ireland, looking at the history of Ireland and its attempts to retain its independence. 4. Shakespeare and the Mediterranean, featuring the places mentioned in the plays, with a look at the authorship debate. 5. Napoleon and the British at war, studying the impact of the many campaigns on land and sea in the west. 6. Nelson and Napoleon in the Mediterranean, illustrating the struggle for power between the man perceived as the Corsican tyrant and those who wished to prevent his dominance. Since 2005 I have enjoyed lecturing in the Mediterranean and the Red Sea, on a variety of topics which illustrate the history and archaeology of the peoples and countries that we visit. I have a portfolio of lavishly illustrated PowerPoint presentations which help me to share my enthusiasm on the subjects, which range from Jezebel to Cleopatra, or Suleiman the Magnificent to Catherine of Aragon.